John, has a degree in Applied Economics, an MBA, and completed an Executive Leadership and Management programme at Wharton Business School, USA. In his role as COO at CareTech he leads both the Adults, Children’s, Specialist and Learning Services Divisions which have had a period of sustained and substantial growth with a focus on building and developing strong teams, excellent service delivery and quality. He has also successfully managed and led the pre and post integration of all recent acquisitions. 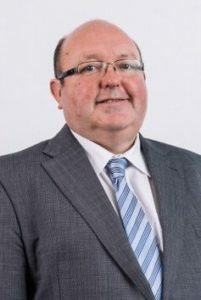 John is an experienced and recognised Health and Social Care executive leader having previously been CEO of Nestor Healthcare, Chief Executive of Saga Healthcare, and COO of HC One. As well as having been on the Board of the UK Homecare Association. John is married with 2 daughters and is a keen West Ham supporter.